If we are to compare the 700D with the 650D and the 600D, it would be a hard time trying to come up with a lot of differences. There are however some differences across the three models. So let’s just say these are the key features of the 700D. Multi-touch Vari-angle 3.0″ 1,040,000 dot Clear View capacitative LCD II screen that actually releases you from every wanting to use camera dials and buttons. 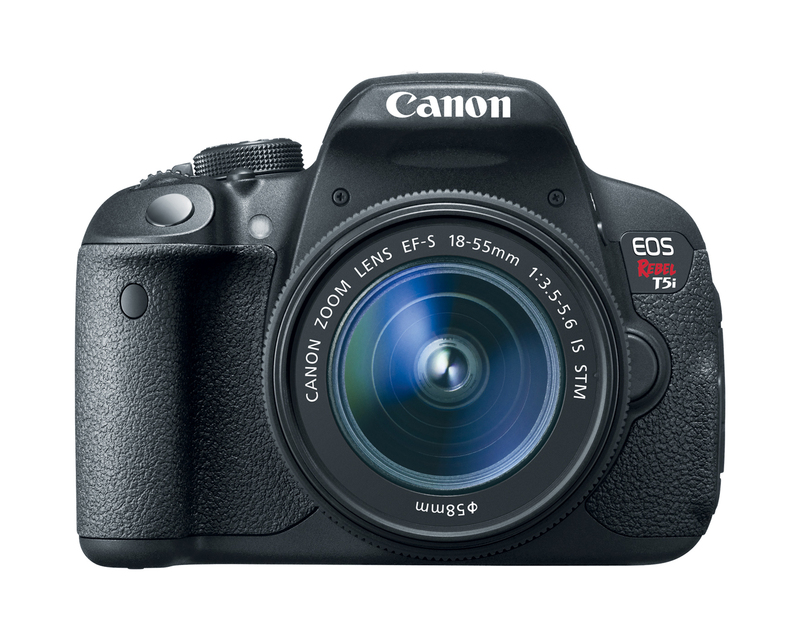 The EOS 700D also known as the Canon Rebel T5i in the US was launched within one year of the Rebel T4i. 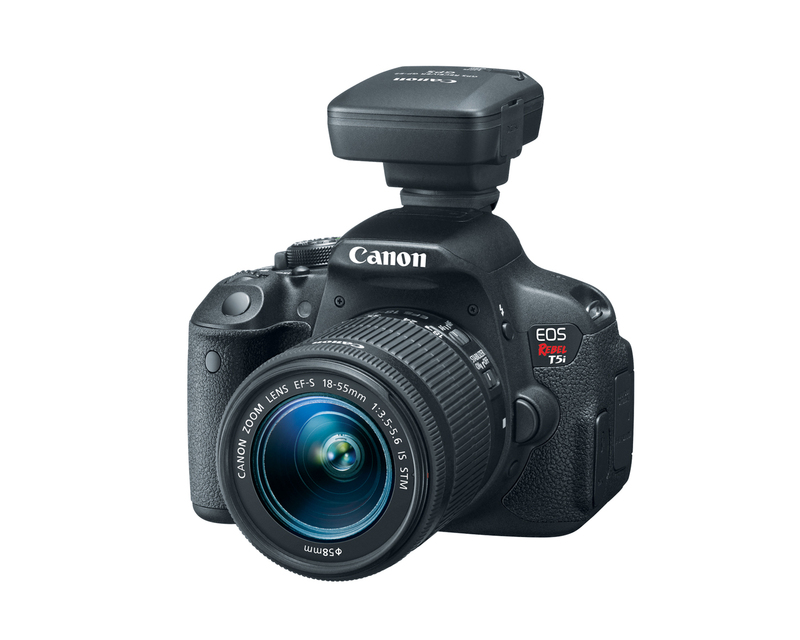 Both the cameras have the same tilty flippy LCD screen, 18 megapixels CMOS APS-C sensor and both feature the same 9-point AF system that Canon has come to be recognized with. However here all the 9 AF points are cross type providing better auto-focusing performance. The EOS Rebel T5i provides amateur and advanced photographers looking to hone their creative and technical skills with a range of features that allow for crisp, clear images.Whether it is adding saturation to a vivid landscape or applying a unique, vintage touch to a portrait, users who want to express their creativity can experiment with different effects and settings, composing a shot, by using one of Canon’s seven Creative Filters. When the Creative Filters are applied in Live View, users can preview the filter on the vari-angle three inch LCD touch screen without having to shoot the image first. Effects such as ArtBold, Water Painting, Grainy Black and White, Soft Focus, Toy Camera, Fish- Eye and Miniature let users pick and choose how to best express their creative vision before or after the image is captured. 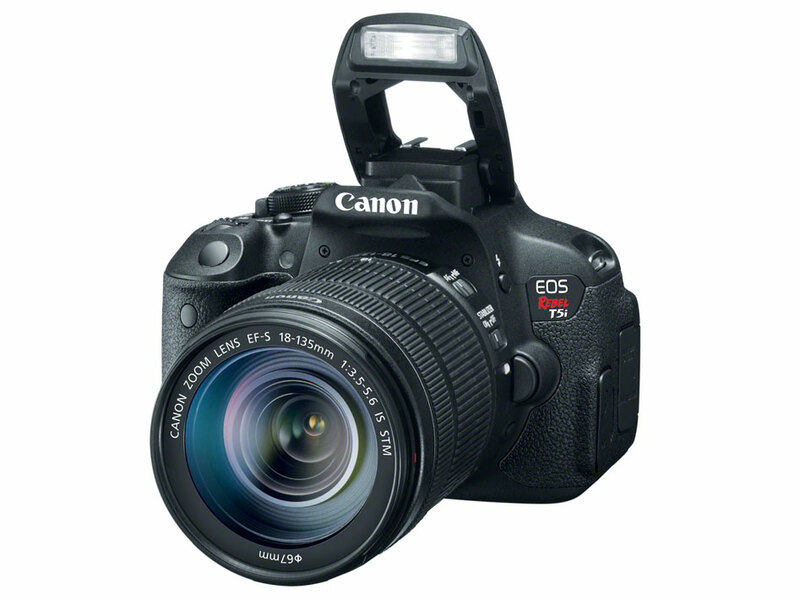 The EOS Rebel T5i offers easy-to-use professional video capture. 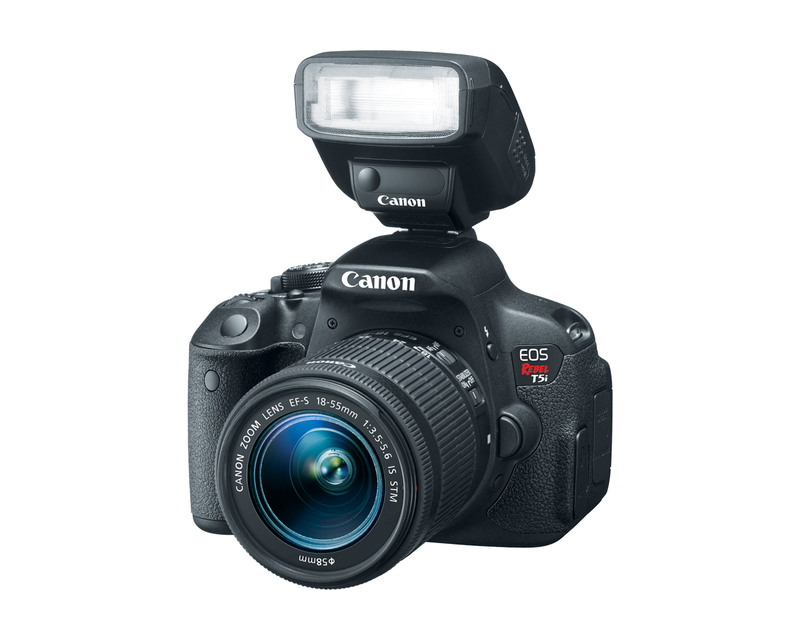 When users switch to EOS Full HD Movie mode, the EOS Rebel T5i offers the ability to shoot in 1080p Full HD video in a number of recording sizes and frame rates. With Canon’s Hybrid CMOS AF System and Movie Servo AF, the camera provides continuous AF for focus tracking of moving subjects by helping to reduce the camera’s need to “hunt”, resulting in a quick and smooth continuous AF. While shooting with one of Canon’s Stepping Motor (STM) lenses, such as the new EF-S 18-55mm f/3.5-5.6 IS STM lens, the camera will only capture the stereo sound of the scene being recorded. 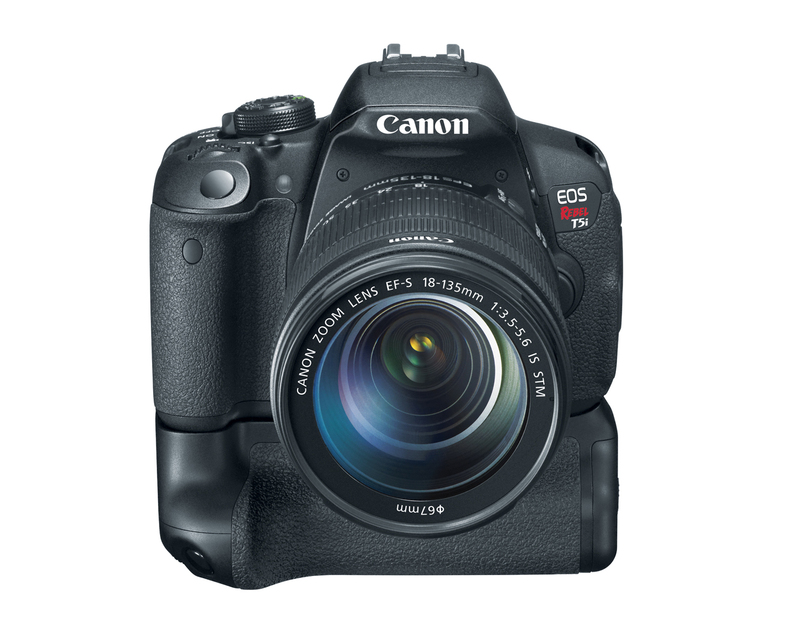 For added flexibility, the EOS Rebel T5i also features a built-in stereo microphone with manual audio level adjustment to enhance sound quality. The 700D’s hybrid CMOS sensor has phase detection auto-focusing in live-view mode. 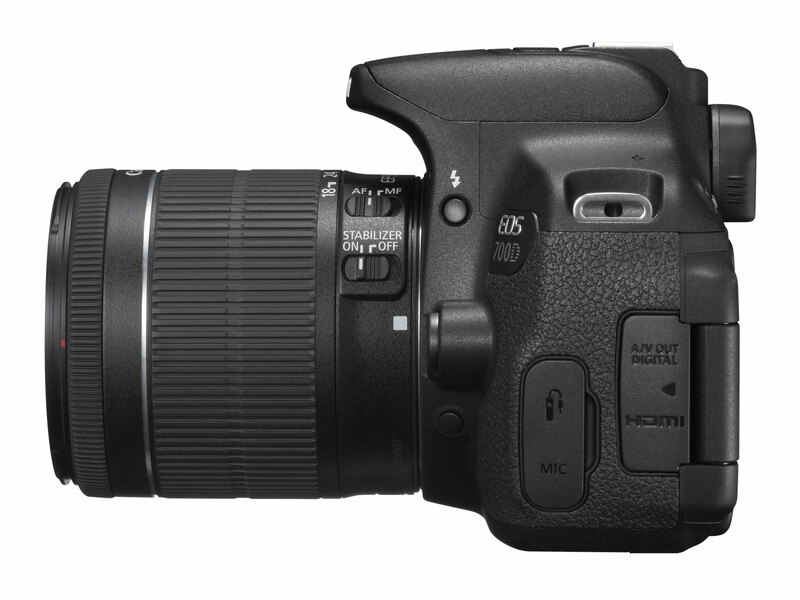 This hypothetically should be much better than the standard auto-focusing system of the 650D. Which means auto-focusing during your video shooting or when using the LCD screen should be much better. In real life however the 650D and the 700D is not that different when shooting in live view mode. In live view mode it is possible to lock focus to a subject by tapping on the LCD screen. The viewfinder has only 95% coverage. Additionally there is no auto-focus illuminator lamp. When shooting in pitch dark the flash, if allowed will fire intermittently and try to find focus. No buit-in wifi as EOS 6D. We don’t have to look very far to find suitable alternatives to the 700D. 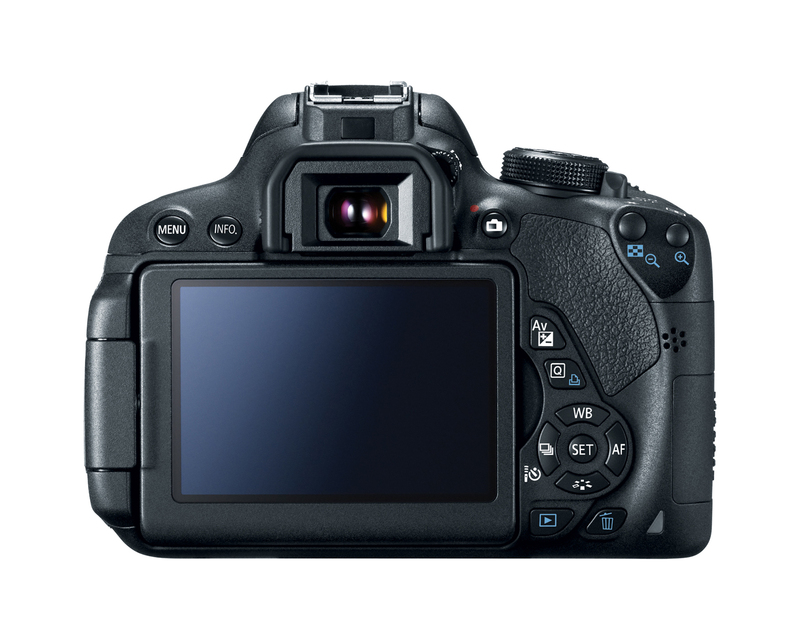 The model that it replaces 650D is no longer available but the earlier model 600D is still available and is still a great camera to buy. The other one is Nikon’s D5200 which is at this time the biggest rival for the 700D. 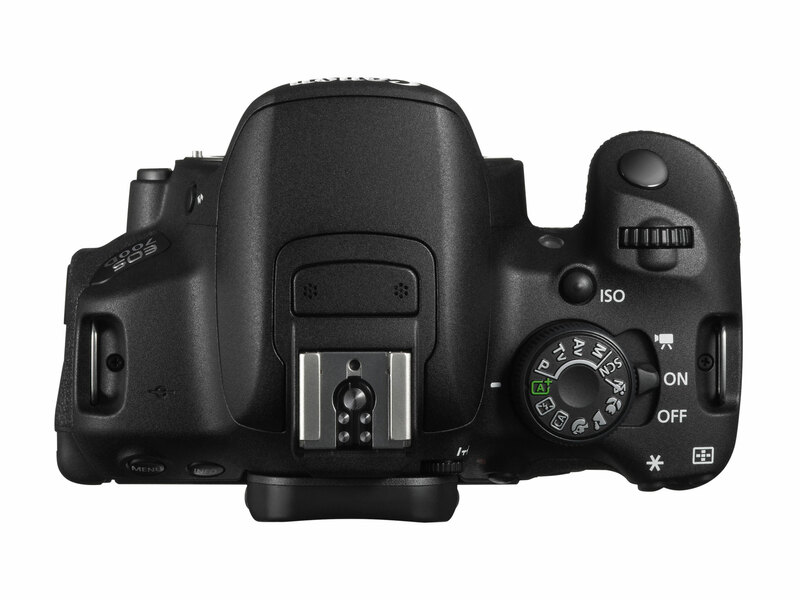 The D5200 uses the same fancy auto-focusing system as the higher end model D7000 uses and also has 24 megapixels to boot. 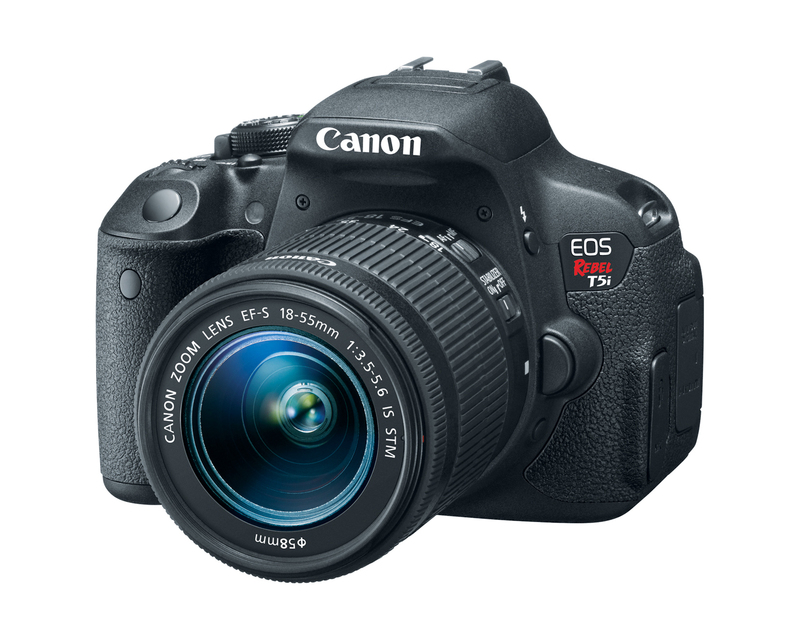 Ideally the 700D should be one of the choices if you’re looking for an entry level DSLR. If you already own an entry level DSLR this is not something that you should be upgrading too. If you’re given a choice between the 700D and the D5200, ergonomically it can be a toss up and will all boil down to whether you’re a Canon guy or a Nikon guy. They are both good cameras and honestly I love the 9-point all cross type AF system. At the end of the day the decision is purely personal but if you’re going to invest in an entry level DSLR that’s good, choosing the 700D wouldn’t be a bad decision.